This is a pretty dapper trio, don’t you think? Who is the man on the right? It looks like it’s going to be a great fall day around here. My house had three days of rain…not the drenching kind we really need but more of the “fits and starts” kind of rain. I’m thankful for any, however. I have a deadline to meet with a paper that MUST be written and what am I doing? I’m preparing a blog entry instead. If you’ve spent any time around here I think it’s fairly clear that I like to write, however, I have to be interested in my topic. The topic of my paper is merely a summary of an eight week course….it should be fairly simply for me to do, but I’m sooooo disinterested. The assignment is a pointless rehash of things I’ve already said. I’ve thought of several ways I could structure the assignment, but unfortunately I’m not the teacher this time and as a student apparently I have no control…. Too often we see kids in the classrooom who are disinterested. They do everything they possibly can to avoid starting an assignment. Often this is due to a lack of knowledge or skills, but more often than not it is simply because the assignment doesn’t challenge or motivate the student. I think the solution is flexibility. Sometimes when I have a child who is avoiding an assignment I sit with him or her and we take a look at the particular standard and narrow down what it is the student should know or be able to do. From there I ask the student to come up at least two ways they could prove to me “they know” or “can do”. Once that is done I take a look at the choices…sometimes we have to tweak it a bit or two….and then I ask the student to choose one of their solutions and get on with it. A little power and some choice will go a long way sometimes. My first link for this weekend’s reading assignment is a happy one. Sometime ago I posted a lengthy recap of the Genarlow Wilson saga. Yesterday I watched on televison as he was finally released from prison and walked into the arms of his mother and sister. Yes, this young man made a poor choice, but poor legislation by the Georgia General Assembly (even though their intention was good) is at the heart of this matter. Georgia blogger, GriftDrift has the best recap of all issues concerning Wilson’s odyssey. Speaking of my homeland the Georgia Carnival which I normally host here was hosted this week by Rusty at Radical Georgia Moderate. He did a great job and don’t hestiate to wind your way through a Georgia Carnival thinking it’s all about Georgia and won’t be interesting. There are many postings about other subjects; however, Rusty’s recap of our water woes is a most excellent round up of what might end up being a war with Alabama and Florida. Did you know that two cabinet members were killed in an explosion in the early 1840s? I wrote about it earlier this week over at American Presidents. I was also infected with the 10-20-30 virus, but I’m better now. If this doesn’t give you enough to read the Education Carnival is a must see, and an article regarding America's oldest natural history museum begs for more research regarding the various collections it still holds. This week’s wordless image portrayed stone walls, a narrow passage way, and a doorway that opened onto a body of water. I’ve placed a similar picture here, but it is at a different location. Most of the comments centered upon an optimistic point of view---- Qtpies7 thought the doorway meant an escape, kat said she thought it was a doorway to freedom, and Alasandra thought it looked similar to a fort in Massachusetts. The image inspired others to think about relaxation, a volcano, and someone questioned were they going out or in. Until the location of the image was correctly identified by Keith as the Island of Goree off the coast of Senegal the picture posed a postive impression. No one considered the image could represent something sad and tragic. I’m going to explain the image by telling you a little story….. The year is 1540. You are an African tribesman going about your daily business early one morning. Let’s say you are sitting outside your hut working on a basket that you will use to store food. Suddenly you are surrounded by fierce looking warriors from a neighboring kingdom your chief has been at war with. Now you are their prisoner, and as the custom dictates you are now the property or slave of the neighboring king. You travel at the point of several spears to a location far, far away from your hut, your village, and your family. No one saw you being taken, and you were unable to say goodbye. After a couple of days of walking your captors meet up with a group of very light-skinned men. You have never seen people such as these. They smell funny and have hair all over their faces, chests, and arms. Strange sounds come from their throats that make no sense. Your original captors leave you with the light skinned men who immediately place shackels and chains around your neck, wrists, and ankles. They use long sticks to prod you along the path and occaisionally slam the sticks against your body when you don’t move fast enough. Eventually you meet up with other light skinned men who also have prisoners. You scan the men, women, and children who are also in chains for a recognizable face, but they are just as strange as the light-skinned men, but as your eyes you realize they are just as confused and scared as you are. At the end of the journey you know you are coming upon the coast because you can smell the sea. Suddenly you notice a very large building looming ahead. It is the largest structure you have ever seen. It’s not made of plant material like your hut…..it’s constructed of rock and rises from the ground two or three stories. The noise level is very high as prisoners like you are screaming and crying. There are wagons and carts going this way and that and many, many more light-skinned people are moving about. You are forced to enter the large stone building and eventually you are thrown into a very small room with several other prisoners. There is no window and a wall that you can see through at certain points prevents you from walking out. Time passes very slowly. You loose track of how many days and nights you remain in the room. There is no place to relieve yourself and the food that is thrown to you and your cell-mates is often unedible. You begin to fight over it with the other prisoners even though you know you can’t it. At one point the barrier keeping you in the cell is opened and the light-skinned men come in. They use their sticks to push and prod everyone out into the passageway. You are lined up and forced to walk. The passage is so narrow you could touch the walls on either side. Up ahead you begin to see light…the first light since entering this evil place. You continue to hobble towards it with the others. As you get closer to the light you begin to blink and your eyes water. Suddenly you find yourself through the opening and into the warmth and brightness of full Sun. You breathe in and find that there is no more smell of humanity and death. Unfortunately, what you don’t realize is you have just walked through the door of no return and are about to be placed in the hold of a Portuguese slave ship……. 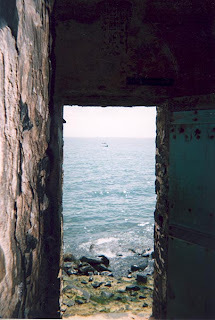 My original wordless image is from the House of Slaves on the island of Goree. The story goes that slaves would leave the many, many Portuguese trading centers along the West African coast via the doors that led directly to the slave ships. There is some question regarding the authenticity of the doorways which are usually designated today for tourists to see. 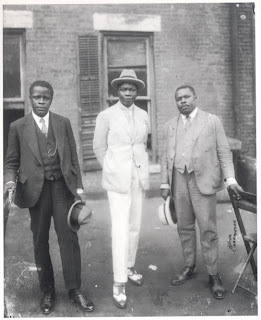 In some instances scholars are not certain slaves actually walked through the designated doorways, but they had to leave the trading centers somehow and the doorways are powerful images that draw many African Americans each year as tourists. Some historians have stated as many as 12 million Africans were transported from their homes into slavery. Of that number it is estimated only 26,000 (still a large number) actually passed through Goree’s House of Slaves which was built in 1776. There is a great Time Magazine article about the island found here. While slavery in Africa had exisited for hundreds of years prior to European exploration we have the Portuguese to thank for the exportation of African slaves from the west coast of the continent beginning as early as 1444. 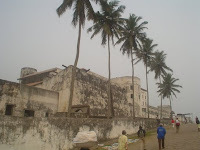 Elmina Castle is another Portuguese trade center built on the Gulf of Guinea. It is the oldest European buildng in existence below the Sahara. The location of Elmina was due to a gold mine in the area which of course, was exploited by the Europeans. Eventually the Dutch seized all Portguese possessions in Africa in 1637, however, the slave trade from Elmina continued until 1873 when the castle became the posssession of the British Empire. I’m still thinking about the original impression my readers had of my image. Why so positive? I’ve used this same exercise in the classroom with students and had similar results. Going through a doorway often means a transition into something better, and I’m fairly postive none of Wednesdays participants have ever entered into a slave situation, so they have no context of what it means. Of course, I have had the jokester occasionally who quipped entering the door of my classroom is often entering into servitude. History can often be a difficult subject to teach in that students have no frame of reference for certain time periods in history. This is where building empathy comes into play. I often try to place students in the role of the historical figure I’m trying to explain whether it is a slave or slave owner. These concepts are so foreign to students that they can’t relate to either without stories, role play, and much introspection. Separated each word means something very different and the concepts they represent are on opposite ends of the desirable and undesirable spectrum depending on the situation. Today’s 13 list doesn’t deal with just bombs, or just balloons, or even balloon bombs filled with water. The balloon bombs that are my subject today were meant to be weapons of war. 1. Balloon bombs were also known as fire bombs and were weapons used by the Japanese during World War II. 2. The balloons were filled with hydrogen and launched from the east coast of the Japanese island of Honshu. Some records indicate over 9,000 balloons were launched. 3. It was hoped that air currents would carry the balloon bombs across the Pacific to North America. 4. The Japanese were not the only country to use balloon bombs. The British used them against Germany for a time. 5. The bombs were found all over the western United States including Arizona, Idaho, and Iowa. Some even found their way to Mexico. 6. A balloon bomb was located as late as 1955 and it was still combustible. In 1992, a balloon was located, but it was no longer able to explode. 7. America had no prior warning that balloon bombs had been launched against them. Citizens did begin to notice the balloons and explosions were heard from California to Alaska. 8. Eventually more and more evidence mounted that proved something was going on. People witnessed something strange sailing to the ground in Wyoming. When it exploded shrapnel was left behind. 9. Scraps of “Washi” paper (made from mulberry bushes) were found in Los Angeles and in other places. The paper was used to construct the balloons. 10. The U.S. Navy found a balloon floating in the ocean. Later, an Army fighter plane managed to push a balloon towards the ground where it landed intact. Finally, officials could examine what had been launched against us more closely. 11. The American public finally learned about the balloons. The Newsweek issue dated January 1, 1945 contained an article regarding the balloons which the Office of Censorship asked to be removed from public view. The government’s strategy was if there was no information in the press the Japanese would have no information regarding how successful their balloon launch had been. 12. Authorities were really concerned, however, and feared that more balloons might eventually reach American soil. There was some thought that the Japanese had been working on a biological weapon and officials were afraid the balloon bombs might be a first step towards a biological launch. 13. The event which resulted in the balloon bombs being launched against the United States was the Jimmy Doolittle raid against Tokyo. Doolittle’s raid, of course, was in reaction to Pearl Harbor. Sadly, a balloon bomb did kill four people. You can find the story here. A great informational article can be found here. You can participate in Thursday Thirteen and read other 13 lists here. What is significant about this doorway? As early as the 1500s Portuguese writers passed along tales of a great stone complex located far inland on the African continent. One writer in particular, Joao de Barros, a Portuguese historian, referred to the stone complex as Axum, the fabled city of the Queen of Sheba. Other writers theorized the complex was Ophir, which is said to be the place where the Queen of Sheba acquired the gold for Solomon’s Temple. Unfortunately in the 19th century archeologists were more concerned with ignoring evidence and rewriting history to fit their own racial views. Adam Renders, an American-born German hunter and explorer found the stone remains in 1867. He found structures built with granite slabs that fit so tightly together that there was no need for mortar. In 1871, Carl Mauch, a German geologist, hypothesized that a section of the complex other archeologist refer to as the Great Enclosure was built especially for the queen. Theodore Bent, who was hired by Rhodes to work the Great Zimbabwe site thought the complex had been built by “a northern race coming from Arabia…” He was referring to the Phoenicians or Egyptians. White explorers and archeologists continued to believe and promote the dribble even when there was clear evidence that local people had inhabited the complex for some time. There were no artifacts found that would have given evidence to whites building or living at the complex. Artifacts that were found included pottery relics, bronze and copper spearheads, adzes, axes, and tools for working with gold, and they all pointed to the Bantu people. Finally, in 1906, David Randall MacIver began to see the light. He stated the complex was “unquestionable African in every detail” describing mud dwellings belonging to a period “which is fixed by foreign imports as, in general, medieval.” His findings did not sit well with British Imperialist who basically banned further archeological study of the site for approximately twenty-five years. Gertrude Caton-Thompson, another British archeologist, identified Chinese and Persian artifacts on site as imports dating from the 1300s to the 1500s. She also found large numbers of articles produced locally by excavating down to the bedrock. She found evidence of Africans living at the site through each layer of earth and published her findings in her book The Zimbabwe Culture: Ruins & Reactions (1931). She based her work on the found artifacts, the dwellings themselves, and the oral traditions of the people living in the area at the time. Once myths take hold, however, they are hard to eradicate. In the 1960s, Ian Smith controlled a minority white government that broke away and became Southern Rhodesia. The falsification of Great Zimbabwe continued. Guidebooks were printed that showed tribal leaders bowing low to Europeans. Visitors were led to believe Great Zimbabwe was built by Europeans. Rumors continued that Great Zimbabwe was built and maintained by foreigners continued until Zimbabwe’s independence in 1980. Radiocarbon dating in the 1960s shows The Great Zimbabwe is not ancient, but there is no evidence that is was built or inhabited by white men. An accepted view today is the complex was built by the Shona who are the ancestors of the Bantu people. One of the great things about serving on a textbook adoption committee is you get to review and usually keep several editions of various textbooks that can become valuable resources. It’s always interesting to see how the different publishing companies treat certain events. Today my interest is drawn to Giovanni Cabato, or John Cabot. 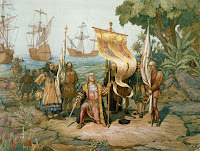 Houghton Mifflin’s Social Studies provides a three page discussion of Christopher Columbus and the Columbian Exchange. The text then launches into the expeditions of Pedro Alvarez Cabral (1500), Amerigo Vespucci (1499), Vasco Nunez de Balboa (1501), and Ferdinand Magellan (1519) and mentions the map created by Martin Waldseemuller in 1507 (the map pictured with this post) that is credited with using the word America for this first time. Explorer Amerigo Vespucci is the usual choice to explain where the word America came from, right? How sad…..students in school systems across the nation who are using Houghton Mifflin (my school system) or Scott Foresman’s book and elementary teachers who have more background in math, language arts, or science are loosing out on a great accomplishment and very interesting story. One of the activities I often provided in my classroom is to allow students to peruse various texts and look for the inclusion of the name Giovanni Cabato. It’s a great way to prove to students that textbooks are a great tool for learning, but they aren’t the only tool. Sometimes…..we (meaning students and teachers) have to get out of the book for the rest of the story. Cabato’s story gives us that opportunity and provided me with the details behind my wordless image this week. Cabato’s expedition set a course that was much further north than Columbus, and most sources agree that he reached what we refer to today as Newfoundland. Like Columbus, Cabato was certain he had reached Cathay (referring to East Asia/China) and returned to England telling tales of the fish that could be simply scooped up by the bucketfuls. Now….getting back to the wordless image. It is a coat of arms belonging to one Richard Ameryk (also spelled Amerike) of Long Ashton and Bristol, England. He was a merchant, served three times as the King’s Customs Officer, and served as the sheriff of Bristol in 1497. There is documentation that Ameryk was involved in paying Cabato his pension as the seaman following his receipt of a letter of authority from King Henry VII directing Cabato to set sail and claim lands for the crown. Ameryk may have been involved with the building of Cabato’s ship, the Matthew as well. It is a common argument today (and a rather fun one) that America was not named for Amerigo Vespucci, but was actually named for Richard Ameryk in recognition for the help he gave to Cabato. A book by Sam Llewellyn titled Small Parts in History mentions a calendar found in the city of Bristol for the year 1497 and it mentions America by name. This would be two years before Vespucci ever set sail for the New World and ten years before Waldseemuller’s map. Many state the story lacks real hard evidence, however, Rodney Broome’s books titled Terra Incognita (2001) and The Briton America Is Named For (2002) are interesting reads for further details. I love this story simply because it doesn’t matter which theory you agree with because every point of proof seems to have a point that counters the information. This provides a terrific opportunity for students. They love puzzles and they love detective work. In the past I’ve given students the basics of the story, provided a few bookmarked weblinks and asked them to find out as much as they can in teams. Once they have collected the information they analyze and discuss the facts to come up with a position regarding who America was named for. The position and the facts they use to support it become the basis for a position paper. There is a large amount of information to transfer to young brains during our look at exploration. Students must be given a point of focus regarding the state of Europe, Africa, and Asia in the 1400s to understand the motivation behind exploration, and they must keep track of four different countries---Portugal, Spain, France, and England---regarding various expeditions. Who sailed? Why did they sail? What were their accomplishments? How did the new knowledge that was gathered change various relationships between countries? How did the arrival of Europeans change the lives of Native Americans? Suddenly my elementary students find themselves exposed to a bit of world history and are attempting to pronounce words such as Renaissance, place names like Constantinople and Songhai and over twenty-five various names like Alvar Nunez Cabeza de Vaca. We have fun with the content by mapping various journeys and playing matching games with names of explorers and their accomplishments. We explore online, watch videos to gain visual images, I provide students with opportunities to uncover content independently, and I get to tell a few great stories as well. However, the bottom line that lurks behind the scene is six months from now my young students will be judged on how well they know the content and I will be judged on how well I teach based on the state test. Students must recall the hit parade of explorers, their accomplishments, and the details regarding country interaction from the 1400s through the 1600s by answering approximately 60 multiple-choice questions spanning exploration content as well as details learned about ancient Native Americans and historical events during the 1700s to the mid-1800s. Should a nine year old student be required to recall this sort of information several months later? Is this really developmentally appropriate for the majority of students? In my own experience I feel a large section of my students are are too immature and lack any sort of foundational knowledge to connect with the standards I teach as preparation for the type of test the state gives. 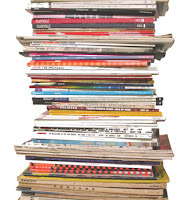 At fourth grade educators and parents are still dealing with many students who have difficulty reading the textbook because the text tends to be a year or two above the actual grade level, and students lack knowledge regarding textbook construction. Many of my students are still struggling with mastering math facts and spelling patterns. Is it really realistic thinking that a great number of my students can also recall historical minutiae when taking a multiple choice test as I have described six months after the fact? The content I teach as well as the content that is taught in the fifth grade is intended to be foundational knowledge. Any builder who really cares about the integrity of their creation would never test the building’s foundation without making sure a firm foundation existed. I love the way the state of Georgia introduces American History to students in fourth and fifth grade, and don’t want to change that. What I would like to see is a state test where students use the historical content to show they have mastered key Social Studies skills. Examples of released questions can be seen here and here. Rather than judging little Bobby or Sue by giving them a description of a an explorer and his accomplishments and asking him/her to choose the correct name from a field of four choices I feel it would be much more reasonable and appropriate at the fourth grade level to focus on skills rather than content memorization. For example, I would love to see several test questions centered around a matrix chart that contains information concerning explorers. Information would include from what country they sailed for, what country they hailed from, their goal, problems they encountered, and accomplishments. Questions would ask the student to locate information on the chart and make analytical decisions based on comparing and contrasting bits of information. I would also like to see maps on the state test where students are asked questions concerning various voyages including route and general direction. Timelines would be appropriate, as well, especially parallel time lines regarding the exploration efforts of Spain, France, and England. Even various questions involving key vocabulary would be appropriate such as “An expedition is-----“. While these types of questions do appear now and then on the test they are woefully presented in small numbers, and it is clear I'm not alone in thinking Georgi'a state test needs more work. Questions that require students to remember relatively small details in the scheme of things still abound though in great numbers and they result in a poor judgement regarding what my students really know and understand concerning knowledge that serves as a foundation for Social Studies. What is this and how does it fit into the history of the United States?....or does it? Find other Wordless images here. Thanks for participating. You can find the explantion for this image here. This week’s wordless image was correctly identified by GriftDrift as Lyndhurst Mansion. The home was designed in 1838 by Alexander Jackson Davis and was owned by former New York City mayor William Paulding, George Merritt, and railroad tycoon Jay Gould. In the early sixties the home was turned over to the National Trust for Historic Preservation. In case you want a reminder regarding the old Dark Shadows show that was seen each weekday afternoon during the early 60s here is the opening and closing trailer. and now to your reading assignment…. The 20th Georgia Carnival, the Carnival of Education, and the Homeschooling Carnival are up for your reading pleasure. Enjoy! This past Monday was our annual remembrance of Christopher Columbus. For his name to be so recognizable most people know very little about him and there is a very likely chance that what they do know is actually false. Here are a few of the more common myths and facts regarding Christopher Columbus. 1. Christopher Columbus was Spanish. Well, it would make sense since Columbus sailed under the Spanish flag, but the long term story is that Columbus was born in Genoa, Italy. However, there are many other theories that have linked Columbus to a Jewish background, the island of Corsica, and even a Viking background. 2. The main goal for the first voyage was to prove the Earth was round and not flat. This is a false statement. By 1492, most of the educated people in Europe understood the Earth was a sphere. However, there was a great debate regarding just how big the planet really was. Even Columbus had to readjust his views after completing that first voyage. 3. The crews on board the Nina, the Pinta, and the Santa Maria were filled with cut-throat criminals. While records indicate that amnesty would be granted to those who would undertake the voyage very few criminals applied for a pardon. 4. The only reason Isabella and Ferdinand of Spain agreed to fund the journey is Columbus stated he would spread Christianity to those he encountered. While there are iconic paintings of Columbus and his men landing in the New World with a priest in tow there were no clergymen on the first journey. By the second journey five priests had managed to tag along. In the picture above the priest is seen clutching the Bible behind the standard. 5. 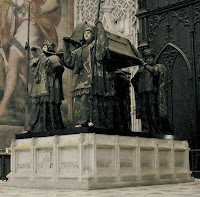 Columbus is buried in Santo Domingo. This is not necessarily so. Many records conflict this by stating his remains were moved. Maybe he is in several locations. The primary resting spot is the Cathedral of Seville in Spain. The tomb is pictured below. Santa Domingo, Genoa, and even Cuba are also mentioned in various sources. 6. Columbus discovered North America. Not quite. He was searching for a faster route to the Orient than the overland Silk Road. His theory was the Orient could be reached from Europe by sailing west. He landed in the Caribbean Islands and at no time did he ever set foot on the continent of North America. Columbus actually thought he had landed in the Orient and had no clue North or South America even existed. 7. Columbus was the first man to reach the New World. This is also false. We have many sources that indicate there were plenty of visits and near visits to North and South America before Columbus such as visits by the Vikings and the Chinese explorer Zheng He. Knowledge regarding these initial visits in no way decreases the importance of the efforts of Columbus. He should be remembered because his voyages inaugurated the first permanent contact between the East and the West. 8. The Spanish monarchy had to sell the crown jewels in order to fund the journey. Actually, it is believed Queen Isabella and King Ferdinand cut a deal with the city of Palos so that the citizens there could replay a debt to the crown. The debt covered the cost of two of the ships. There was also some Italian funds that backed the trip as well. 9. I learned in high school Columbus died from syphillis. Did you? That’s not correct. While he had poor eyesight and gout Columbus did no die of syphillis. The disease was in Europe after 1492, but Columbus did not have it. 10. Columbus died in prison. This is also false. He actually died on May 20, 1506 in Valladoliad, Spain. At one time he was in chains at the end of his third voyage, but upon landing in Spain a misunderstanding was cleared up and the chains disappeared. 11. Women were never allowed on the voyages, and horses did not arrive in the New World until the conquistadors. Actually women did travel with Columbus on his third voyage. There was one woman for every ten emigrants. Horses, however reached the New World before women. They came over on the second voyage. 12. Many believe Columbus arrived with several hundered men, but that’s not true either. The ships he used were very tiny compared to today’s standards. They were probably no bigger than a tennis court and were less than 30 feet wide. 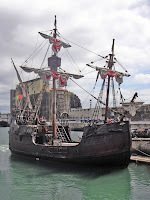 The Santa Maria had a crew of 40, the Pinta had 26, and the Nina had the smallest crew with 24 men. This great American home has a dark past. What's the name of the home? Why does it have dark past? 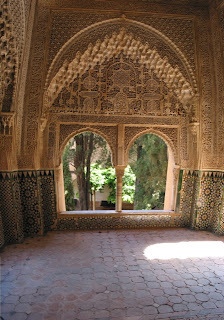 Click here for last week's explanation regarding the Alhambra and how it connects to American history and literarture. You know the old saying, “Washington slept here”, don’t you? So many places over the years have tried to cash in on the George Washington name that if he actually slept in all of the places people claim it’s a wonder we won the Revolution. Last week’s wordless image was correctly identified by Grift Drift. 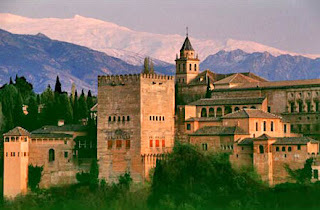 The structure was indeed the magnificient Alhambra Palace in Spain. 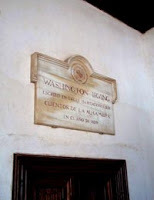 Washington Irving was the connecting factor between the Alhambra and our own history and literature. Irving actually resided in the Alhambra for a time while he was doing research for some of his writing including a book about Columbus. Many history scholars point to Irving’s work concerning Columbus as the basis for the very incorrect idea that the first voyage of Columbus was an attempt to prove the Earth was round. Irving is also one of the original sources for the whole "so help me God" issue I’ve written about before. 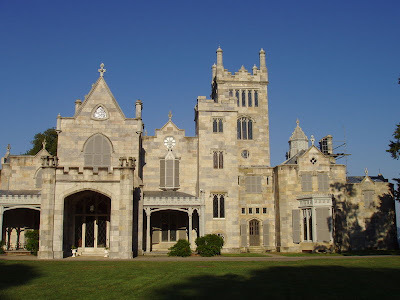 You can find out more about Washington Irving and his home named Sunnyside if you wish. Though it may not always fit with the school system’s prescribed flow of content I generally preview American folklore with students during the second half of October using my Language Arts class to introduce Social Studies topics to students. Halloween is the perfect time to lose ourselves in the stories of Rip Van Winkle and The Legend of Sleepy Hollow by Washington Irving. Irving traveled greatly and it would seem he was most inspired to write about America when he was away from it for long periods of time. “No, I’m not speaking about a medical treatment. Ok, folks. Let’s back up a bit and let’s put our historian hats on,” I say as I mimick placing a hat on my head. We enter a discussion regarding point of view and how we can all experience the same event but would remember it differently. We discuss the explorers and their point of view in constrast with the point of view of Native Americans. I explain to students that try as we might people who record history do not always provide all sides of an issue, and sometimes certain historians slant their treatment of history a certain way on purpose. They are not necessarily attempting to pull the wool over our eyes. Most of the time the treatment of history depends on social issues and views at the time the history was written. However, Irving’s writing helped to provide America with romantic history….a treatment that blends fiction and fact. He also borrowed ideas from European culture to arrive at something totally American. If there is one person in our history that more than anyone else shaped our memories and created our legends, it’s Washington Irving. America’s first successful fiction author, Irving through his writing created the myths and legends that day form the base of our literary history. Rip Van Winkle and The Legend of Sleepy Hollow are universally known to children as they grow up in our culture helping to forge the commonality we all enjoy. And in his Knickerbocker history Irving chronicled the birth of our nation, a fictitious chronicle indeed but a chronicle whose artificial facts and details to this day help shape our beliefs and our ideas of our country. Young students simply adore the PBS series Wishbone. Part 1 of Halloween Hound: The Legend of the Creepy Collars can be found here with links to the parts of the episode. Have you head about a plane load of Marines being held from disembarking because they were deemed a security risk? Thanks to The Aging Hipster for the link. Speaking of education…. the latest carnival is up over at Evolution...Not Just a Theory Anymore and the homeschooling carnival is here. Did you know Georgia has instituted a voucher program---of sorts---for this school year? Finally, here is my argument regarding honoring new heroes, but keeping the old as well. I’m very fortunate to have a presidential library close to my home in Atlanta. I guess that’s one of the perks of having a president from your state. My daughter and I visited the Jimmy Carter Library and Museum a few years back when an original copy of the Declaration of Independence owned by Norman Lear was traveling around the United States. President Carter’s library sits on a piece of land that was saved from a highway construction project while Carter was Georgia’s governor. The libraries are created to perserve and make available the papers, records, and other materials from each president’s administration. The majority of the presidential libraries are maintained by the National Archives, however funding is handled through private, non-federal sources. Some of the presidential libraries are maintained by a particular state. The state of Illinois maintains the Abraham Lincoln Library and Museum. Other libraries are maintained by private foundations. How does this Spanish landmark fit into American History and literature? Last week’s explanation regarding the coins can be found here, and below you'll find an interior image of the building above. Thanks for comments and guesses. The explanation for the above pictures can be found here. The newest edition of the Georgia Carnival is up at my other site---Georgia on My Mind. While it’s called the Georgia Carnival the subject matter of the postings is anything but. Last week’s Education Carnival can be found at Global Citizenship in a Virtual World while the Carnival of Homeschooling can be found at The Voice of Experience. I’m way behind in my journal reading for some reason. I just keep stacking them up on the coffee table. Meanwhile interesting issues are simply passing me by. I really need to take a day or two and get caught up. If you haven’t already noticed these sites involved in the education discussion take time to visit them and add them to your blogroll. This week’s wordless image shows the front and reverse of a Spanish coin minted in Vera Cruz, Mexico at the direction of King Charles III, Bourbon King of Spain in 1783. Polski3 and Anglophile Football Fanatic were the closest in their comments to where I was headed with the images. Alison and Dr. Pezz weren’t too far behind in their reponses. Thanks to everyone who responded. Let’s say the UPS guy shows up at your door wearing those cute little shorts and hands you an unexpected delivery. You open the box and find lots of those Styrofoam peanut things hiding whatever lurks underneath. A letters rests on top advising you the box contains something very precious. Not only are you being given the important job of keeping the precious item safe, but you are to make the item bigger and better than it currently is. This scenario always reminds me of my marriage and even the nuturing of my children---both are very precious things that I’m trusted to keep from harm and to cultivate through the years making them better as time goes by. As an educator I think about my students in the same way. While their stay within the confines of my room is brief I strive to nurture each individual so that they leave my room in a better state than when they walked through the door in August. You see the UPS man of sorts had delivered to King Charles, almost twenty years before, a gift of nearly one million square miles he would have referred to as New France. You might be more familiar with the gift as the Louisiana Territory. The gift came to King Charles via the Treaty of Fontainbleu which was signed in 1762 but not made public until 1764. The Spanish would control all of the former French lands west of the Mississippi. Included in the gift of territory was the jewel of the Mississippi---the very important port of New Orleans. Let’s think about my UPS scenario again…Remember the part of the letter that said I had to make the gift even better than it was when I received it? Well, King Charles had a problem with New Orleans. Its economy was in shambles due to the use of the devalued and often counterfeited French paper currency. Almost immediately the territory became a drain on the resources of Spain due to severe domestic problems back home. There was also a slight problem with French colonists. They did not recognize Spanish rule until 1769 and only did so at the point of 3,000 guns and 22 Spanish warships. In order to improve the colony’s economy and begin to make a profit for Spain King Charles knew he had to replace the currency being used in his new territory. On October 20, 1783, King Charles sent a ship, El Cazador, to Vera Cruz, to pick up a load of silver coins. By January 11, 1783 El Cazador was fully loaded and set sail for New Orleans with the coin I showed in my wordless image and many, many more like it. Somewhere between Vera Cruz and New Orleans the ship was lost. Had the ship gone down due to pirates? Was a storm to blame? No one knew, and the ship was declared officially missing at sea by June, 1784. The loss of the currency was a huge blow to King Charles and to the citizens of New Orleans as well. For the next eleven years Spain continued to hang on to the Lousiana territory, however, in 1800 King Charles agreed to give Napoleon Bonaparte of France control of the Louisiana Territory with the signing of the Treaty of San Ildefonso on October 1, 1800. Now, fast forward to August 2, 1993. Captain Jerry Murphy is aboard The Mistake, a fishing trawler, along with his crew. As the nets are hauled in everyone is expecting a bounteous gift of fish. Instead there are few fish and a mixture of what appears to be huge clumps of rocks. Upon closer examination Captain Murphy discovers he has been given a precious gift indeed. The rocks are identified as clumps of silver coins with some weighing as much as 35 pounds. Coins such as these were known as Spanish millled dollars and were important currency in the New World not only in New Spain but in the American colonies as well. Thomas Jefferson recommended to the Continental Congress that Spanish silver coins should be accepted as currency in the colonies. The coins were accepted through 1857. Captain Murphy and his crew had found the resting place of El Cazador and her silver coins meant to improve the economy of New Orleans had nearly made it to their destination. The wreck lay just a mere 50 miles south of New Orleans. Now here is the type of question that seperates those that are merely interested in the story and those that have the genetic makeup of a true historian---What if the El Cazador had reached New Orleans and had delivered the influx of silver? Would Spain have been able to take advantage of the promise of New Orleans as a sea port? Would the Louisiana Purchase have taken place when it did? Would America under President Jefferson have become embroiled in a war with Spain over New Orleans since the the port was so important to the American economy? I’ve already formed my opinion, but what do you think? You can actually purchase of of the coins from the El Cazador here and here and the shipwreck website can be found here.